Thanks for the support from FDCT, this 128 square meters well-equipped laboratory is established on 2008 and will be launched on 27 April, 2009, with around MOP5,000,000 equipment. Biomedical engineering (BME) is the application of engineering principles and techniques to the medical field. It combines the design and problem solving skills of engineering with medical and biological sciences to improve healthcare diagnosis and treatment. (from Wikipedia). The study of BME in the University of Macau started from 1995, induced by Prof. Zhou Li-Gao, the Dean of FST at that time being. 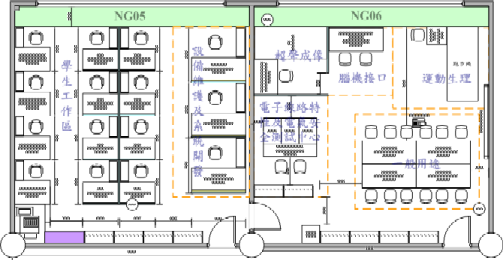 It started by cooperating with Tsinghua University, Centro Hospitalar Conde de São Januário, Macao Department for Social Welfare, Lions Clubs International (Macau), Automated Systems Ltd., and funded by Macau Foundation, to build and trial run in Macau the first “Home Health Care” citywide network of China. Establishment of the "Macau Society of BioMedical Engineering"
Now, the Biomedical Engineering Laboratory is cooperating with the The State Key Laboratory of Analog and Mixed-Signal VLSI (University of Macau) in our university to concentrate on the fields of “Biomedical Electronics”, “Biomedical Electromagnetism”, “Neural Engineering” and “Exercise Physiology”.